community within this price point. The pool includes rock formations, kiddie pool with palm tree fountain, large spa and plenty of sun deck to accommodate a large amount of sunbathers. Amenities include a children’s playground, tennis and Bocce ball courts, multi-use ball fields, and inline skate park, beach volleyball and basketball courts. 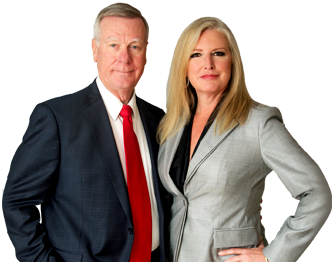 Real estate within this community varies depending upon the area of the community. The single family homes, condominiums, town homes and some of the villas were built by Lennar and they all feature floor plans ranging in size from 1500 to well over 5000 square feet of living area depending upon the model. Remaining villas were built by Beazer Homes and range in size from 1300 to 2500 square feet of living space. 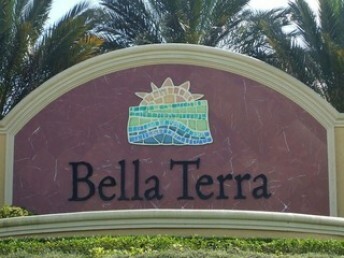 Estero is located between Fort Myers and Bonita Springs and has become a very popular shopping and dining destination. 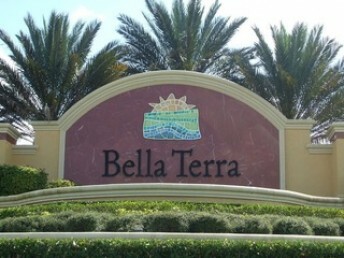 Miromar Outlets, Coconut Point and Gulf Coast Town Center are three large outdoor malls located within just six miles north or south of Bella Terra. Bass Pro Shops, Dilliards, Best Buy and Super Targets are just a few of the major department stores located and one or both of these centers. Germain Arena is only three miles away and Florida Gulf Coast University is just ten minutes down the road. Southwest Florida International Airport is 10 minutes north. 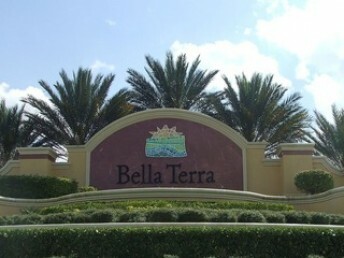 Nearby communities include Grandezza, Wildcat Run, Stoneybrook and Miromar Lakes Beach and Golf Club. Stoneybrook’s 18 hole golf course is public, only 2 minutes down the road. Pinewoods Elementary, Three Oaks Middle and Estero High are all within a short distance.